Tom Olsen began piano lessons at age 7 and started composing music while in middle school. Tom won the Louis Armstrong Jazz Award and numerous local and state competitions for Piano and Oboe performance. He conducted four church choirs while completing his BA in Music Composition from Moody Bible Institute in Chicago. He currently performs 150+ times annually as a piano soloist, with the Tom Olsen Jazz Trio, and with other groups. 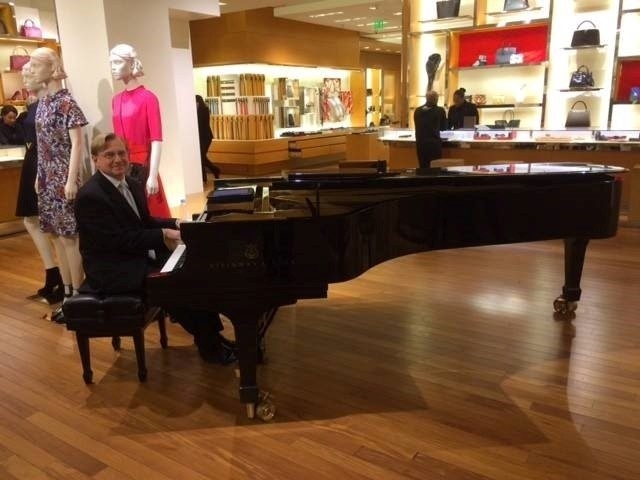 Tom is the Institutional / Education Director for Steinway and teaches piano to students of all ages and skill levels with a special emphasis on jazz and improvisation. Genres & Ages Taught Ages 5 to 90 beginning to advanced students. Classically trained and rooted in sacred music, for the past 20+ years I have explored improvisation in the following styles: jazz, blues, swing, bop, latin jazz, fusion, and funk.